A small flock of keen birders headed to Algonquin Park for EOB’s final winter-season tour of the season. EOB has had a great run at Algonquin in particular, with four memorable trips this past winter. As was the case during the previous tours, there was no shortage of winter finches. Along Highway 60, we observed both species of crossbill, Pine Siskin, American Goldfinch as well as Purple Finch. While walking along the Logging Museum Trail, we heard a Brown Creeper singing; this is a “good” date for a singing creeper in the park, so I decided to send Ron Tozer a note. 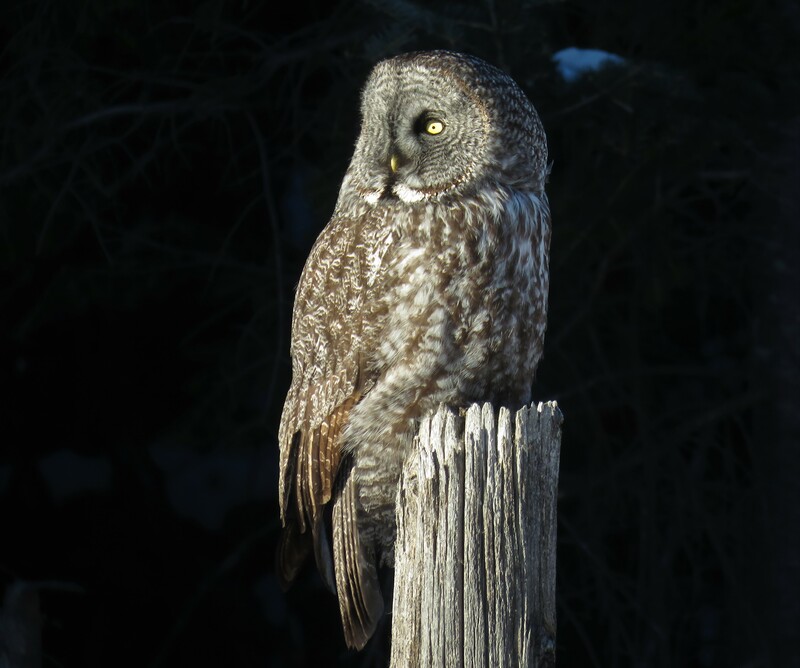 Ron replied, mentioning that our observation was the first-of-season observation of its kind in the park; neat! 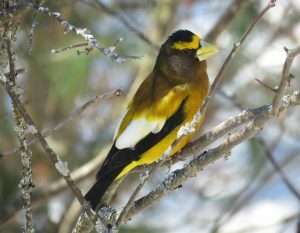 The Visitor Centre was a real highlight, with close views of winter finches, such as the remarkable Evening Grosbeak, as they visited feeders. Gray Jays showed well, especially along Spruce Bog Trail, where they were a “lifer” for two of the three participants. We all agreed that they are adorable and incredibly fascinating to observe. Thank you, Helena, for offering the Gray Jays cranberries; they loved them. In the afternoon, we enjoyed a nice, long hike along the trail behind the dumpsters at Mew Lake campground. About 1 km down the path, we heard and observed a small flock of Golden-crowned Kinglets. We heard one bird sing, as well. Perhaps our most, well, I should just stop right there and call it what it is; absolutely our most exciting bird observation came outside of the park itself, during our drive back to Ottawa. 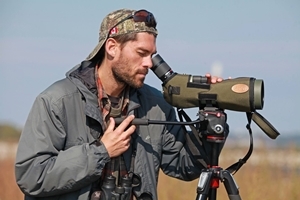 We were driving home during the golden hour when top predatory birds and mammals tend to ramp up their hunting. 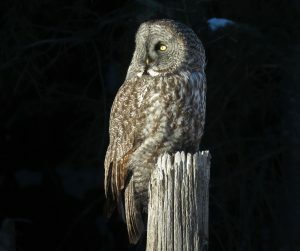 We were just past Golden Eagle, when, to our absolute shock, we observed a perched Great Gray Owl right beside the road. We were flabbergasted by this sighting and spent over 30 min sitting in the car, photographing the bird through the car windows. What a rare treat! Photo: Male Evening Grosbeak perched near the feeders at the Visitor Centre at Algonquin Park. Photo: The Phantom of the Northwoods, spotted. Golden Lake-area.